In this episode Simon and Wayne review the film Chronicle and give the first “Spiffing Opinion Piece” on a new phenomenon creeping into cinema screenings. Or click this direct link to the mp3. 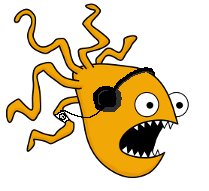 Or use our RSS feed. In this episode of Spiffing Review, Simon and Wayne are joined by Nigel Clegg, director of Arms Race, to look at a couple of really bad films – Battle for Los Angeles (not Battle: Los Angeles) and Birdemic. 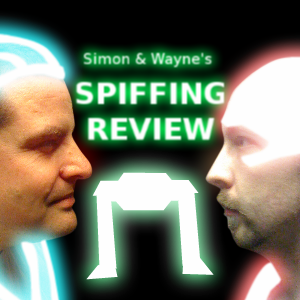 In this extended episode of Spiffing Review, Simon and Wayne take a look at some of the films of 2010, have a look at some of the latest trailers and take a look at the long awaited Tron Legacy. What will they think of the film they’ve been waiting all year to watch? Arms Race is currently 3 views away from reaching 4,000 views on YouTube so whilst waiting I thought I’d put together the various download figures for some of the interent projects I’m involved in, these figures are all up to 30th November 2010. 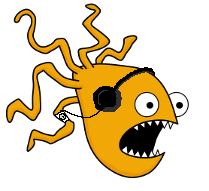 For Jack Steel we’ve had over 20,600 downloads of the episodes, over 3,000 downloads of Starblade Unsheathed (our “making of podcast”) and the Jack Steel Song has been downloaded 126 times! The Spiffing Review Podcast which I do with Simon Jones has had over 6,000 downloads, which is not bad considering it’s just me and Simon waffling about films we’ve seen. Still, we must be doing something right if people and listening to and watching what we’re doing!